Mutual funds have become popular among investors, and they are easy to understand. They offer benefits and simplicity to investors with limited money, time, or knowledge. If you are still undecided about whether mutual funds are great for you, check out these advantages. Asset diversification is a key rule of investing for small investors and large ones. Diversification is the combination of various types of asset classes and investments within a portfolio. It helps in managing risk. To have a diversified portfolio, it is wise to purchase stocks that have different capitalization from various industries as well as bonds with different maturities from various issuers. This strategy may be costly for an individual investor. When you buy mutual funds, you get the advantage of instant asset allocation and diversification without the high cost you would have incurred when creating individual portfolios. The downside to this is that a single mutual fund may not provide you with enough diversification. Check whether the fund is industry- or sector-specific. For instance, if you invest in a certain sector, you may have your money spread over multiple companies. However, if that sector falls, your investment may suffer. To understand economies of scale easily and quickly, think of volume discount; the more of an item you purchase, the cheaper it becomes. The same applies when buying and selling securities. Buying a single security at a given time will see you pay higher transaction fees. Mutual funds lower their investors’ transaction costs by taking advantage of selling and buying volume. This is the type of book you have to sit down with and really concentrate on; it is not an easy read. I bought this book to continue my studies on passively managed funds. It is one I read after reading several others and this is one that I would recommend only after you've read a few before it as it can get detailed and technical. Based on the information in the book, I redid my entire portfolio. Also, this is the only book I've found so far that said purchasing a house wasn't necessary a good investment which I also concluded before I read the book but went against what everyone says. I recommend this book if you've interested in learning from the expert and willing to sit down and study the contents of the book. People say that investing is complex and confusing and that you need to hire a financial advisor to help you on investing your money for a comfortable retirement. After reading this book, I found that much of what you hear from the financial industry is wrong and is designed to confuse the retail investor. The truth of the matter is that investing your money is not complex and that you do not need a financial advisor. If you listen and follow the advise from much of the professional investor class about where you should put your money, you would be making them rich at the expense of your savings. The truth to investing is that it is not secret, do it yourself, it is not complex, and don't listen to the advise of professional portfolio managers who are out to take your money while pretending to have your back, they don't because it is at their expense. This is a very, very detailed book. 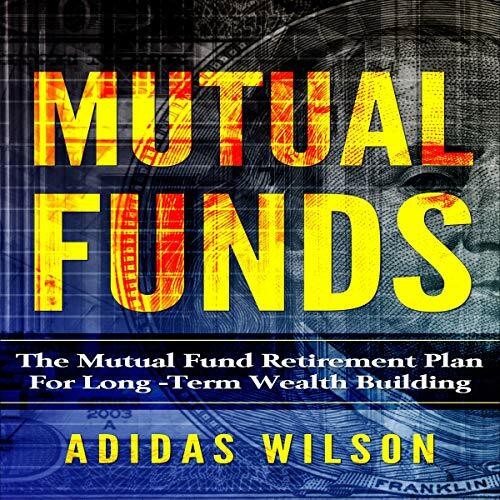 Approach, comprehensive, and simply the best guide to Mutual Funds written to date. It is like the reference Encyclopedia of Mutual Funds. The pages cover everything from basic definitions to strategies for investment to include several levels of the economics and math that go with it. This is not a get rich quick view of funds. It is a treatise and a lifetime of experience condensed down into a Audible book. I own stocks and have done well but wanted to learn more about mutual funds which I really knew nothing about. This is a very good book on with solid investing principles that will teach you the in's and out's. Highly recommend. Best advice on investing, but quite long. Investment advice has worked well for me over many years. I used to deal actively in stocks and various mutual funds. Now, using indexes, and investing in market segments, my investment returns have been much better, with MUCH less effort. The reference bible for mutual fund investment. This book, in my opinion, is the reference “Bible” of long-term mutual fund investing. It goes into detail and more in-depth than some of the later excellent books by Adidas Wilson. This was my first book purchased written by Adidas Wilson and it has stood the test of time. Highly recommend!!! I'd give six stars if I could! This book is clear, concise, and effective. I've hear the first four chapters so far, and it has explained everything I've wanted to know about choosing mutual funds. I was absolutely ecstatic when I saw that the chapter on mutual fund management has an overview of the pros and cons of a number of the well-known fund companies. Very comprehensive book that gives a very different perspective on the Mutual Fund industry. While most books focus on the investor's perspective by explaining the different kinds of funds and their associated risk / return profiles, helping investors chose the best fund for their needs, this book is for professionals who work in the industry and want to understand how a investment management firm functions - its various groups and divisions and how all of them come together to serve the business. Highly recommended! Well written. Very good tips. Well written. Thorough coverage of the various types of mutual funds, comparisons against other investments products. Definitely worth it. Highly recommended. This book help me to understand many questions I had about investing in mutual funds. I better understand of what I am doing when I invest.